How to experimentally approach aurophilic interactions? 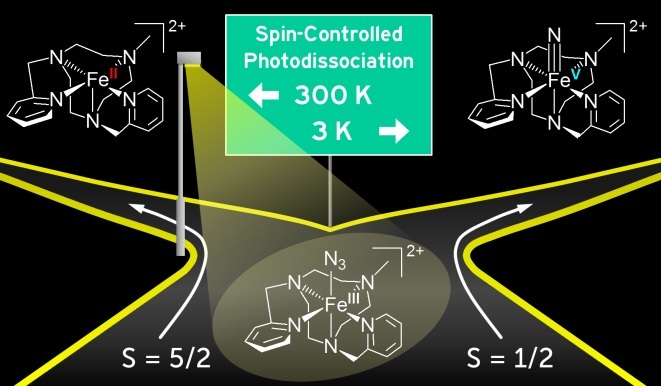 Check our new article in JACS: https://pubs.acs.org/doi/10.1021/jacs.7b12509. A New Article on Iron Nitrides! We have a new article about characterization of terminal iron(V) nitrides. Iron nitrides play an important role in biological nitrogen fixation or in the famous Haber-Bosch synthesis of ammonia. However, they are very unstable and difficult to study by common techniques such as IR or resonance Raman. In our article, we used infrared photodissociation spectroscopy and we fully characterized these elusive species. Futhermore, we performed high-level calculations, which showed complicated electronic structure and allowed interpretation of our experimental data.